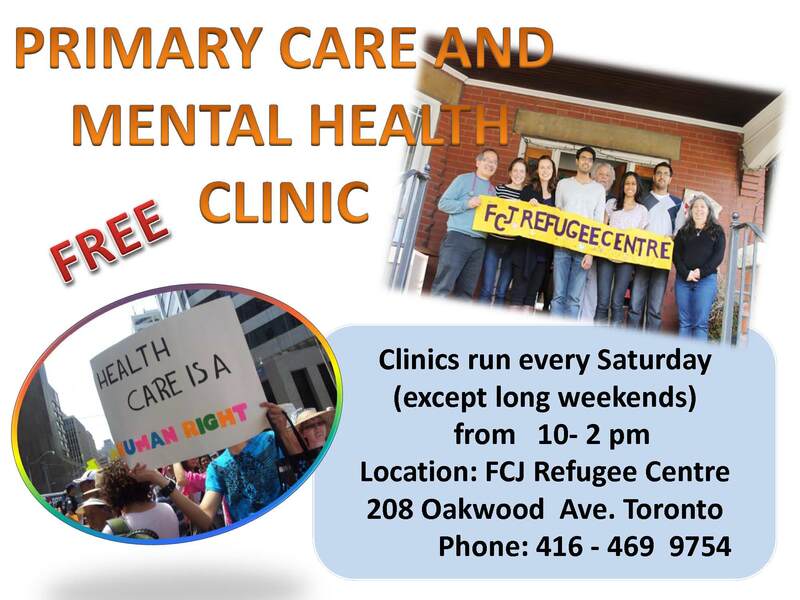 FCJ Refugee Centre is providing primary health care clinic, mental health clinic and self-care at their main location to meet the disenfranchised populations from diverse cultural backgrounds unique health needs. The very essence of the program is to focus on the holistic health care which is integrated approach to health that treats individual as “whole”. The holistic model of care does not only provide primary health care but also focuses on, emotional, psychological and spiritual well-being. FCJ Refugee Centre identifies equity and culturally competent strategies and services as critical to improving and maintaining the health of the vulnerable populations. The clinic focuses on illness prevention and health promotion. This includes, Primary Health Clinic, Mental Health Counselling and Yoga. It is a shift from illness to wellness so that prevention becomes a priority to help individuals to reach their optimum level of wellness and help prevent diseases. Since the inception of the Primary Health Care Clinic it has experienced the influx of the individuals doubling the capacity due to IFHP cuts. Dr. Jim Sugiyama is a family physician, who generously donates his valuable time on every other Saturdays to provide primary health care to the most marginalized populations. Every other Saturday he manage to see children, women, families, youths and adults from diverse cultural backgrounds. Ms. Salma Zafar coordinates our Mental Health Clinic. The therapeutic counselling is offered in a holistic and client-centered approach to improve the mental health and well-being of the individuals. It is offered in a supportive, non-judgemental, compassionate and caring environment. Individuals are coming for short or long term counselling as a process of healing and recovery. FCJ Refugee Centre model of care is holistic focusing on improving mental, physical and spiritual health through yoga. Individuals will learn gentle yoga postures as a relaxing techniques. Yoga has enabled the FCJ Refugee service users to take control of their bodies, minds and lives thus improving their overall wellness. The yoga therapist incorporates breathing and meditation techniques to help individuals to de-stress and helps them to cope with the challenges of living in a stressful environment. The yoga classes are accessible to everyone, regardless of their ages every Saturdays at 10.00 a.m.
Clinics are open every Saturday except long weekends. If you want to book an appointment contact us 416- 469 9754.